A Canadian pet food manufacturer brings its first US facility to Logan County, Kentucky, along with a massive financial investment and 147 new jobs. A compromise "6-Year" Road Plan, in the Free Conference Committee Report on House Bill 237, was introduced and approved by the General Assembly during the final day of the regular session, along with its companion budget bill. Included below are excerpts from the full plan linked above that show the breakdown of projects for the Third Senate District (Christian, Todd and Logan Counties). I am pleased to report that the projects with greatest priority, as described to me by the local leaders of each county, are funded in the plan. The Kentucky Transportation Cabinet plans to close KY 345/Huffman Mill Road in CHRISTIAN County on Wednesday and Thursday, April 16 & 17, 2014. KY 345 will be closed at mile point 8.753 to allow a log jam to be removed from the Little River Bridge. Flooding over the winter uprooted a large tree that jammed under the bridge and collected a massive amount of debris. The Christian County Highway Maintenance Crew will have to use a crane to pull some of the large trees off the bridge piers. This is along KY 345 between KY 107 and KY 695. Motorists who regularly travel this section of KY 345/Huffman Mill Road should make advance alternate travel plans for Wednesday and Thursday. There will be no marked detour. Engineers estimate it will take about two days to remove the debris pile, but the work could extend into Friday. 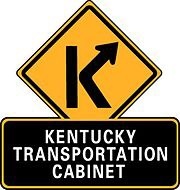 Timely traffic advisories for the 11 counties of KYTC Highway District 2 are available by going towww.facebook.com/kytcdistrict2. You do not have to be a Facebook member to access this page.